Pressure washing is the most affordable and easy way to maintain and increase the value of your home and/or business exterior. Adding pressure cleaning to your regular home or business maintenance plan will add value and great looks. With proper maintenance, your home will continually grow in value while being a source of pride for you and your family. While pressure washing is very cost efficient, it is also important that you hire a qualified, licensed and insured cleaning contractor. Just because someone owns a pressure cleaner doesn’t mean they are a trained professional. It is important for you to hire a pressure washing contractor that is reliable, uses cleaners that are safe around your plants and landscaping, is able to thoroughly explain their methods, can show you pictures of work that they have completed, and has referrals. This assures that your home will be cleaned correctly and without damage, providing beautiful results. 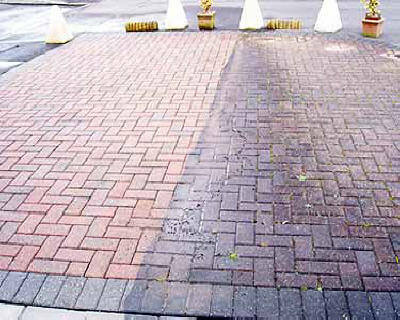 Pressure washing helps prevent costly repairs. A good pressure washing can restore your deck, patio, exterior of home, or sidewalk to its original condition. The cleaning removes dirt and many other things that can make your deck, exterior of home, or sidewalk look in worse condition than it really is. Pressure Cleaning gets rid of mold. It’s a fact that many homes have mold of some kind on them. Pressure cleaning is able to cut through mold and grime and remove it in a way that is safe and will be beneficial to both you and your home. The professionals at Mr. Tree and Lawn Service are experienced with pressure washing and can help you to enhance your home or business in the Gainesville area. Call us at 352-682-4444 or use the convenient “Contact” feature on our website.